LAS VEGAS—For obvious reasons, the automotive coverage at Ars often focuses on ADAS—advanced driver assistance systems. From convenience features like adaptive cruise control and lane keeping to more safety-oriented features like blind spot monitoring or automatic emergency braking, ADAS are becoming more common in new vehicles—usually with brand-specific and potentially confusing names. When the features are implemented well, they can be incredibly useful; I've found that rear cross-traffic alerts regularly come in handy when reversing out of a space in a crowded parking lot. Which is why I was very surprised to find out that these kinds of systems are only now just being rolled out to the biggest, heaviest vehicles on our roads: class 8 semi-trailer trucks. As we've remarked (or complained about) on more than one occasion, the annual CES trade show in January has effectively turned into an auto show, with OEMs and their suppliers demoing their latest tech advances. And Daimler's truck brand, Freightliner, is part of that crowd. In 2015, it used the Hoover Dam to show off an autonomous truck concept, and this year it returned with the production version. 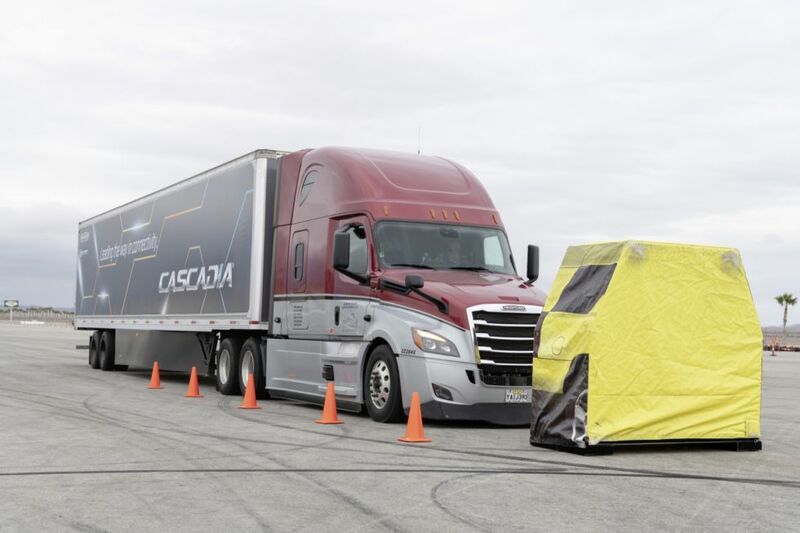 Called "Detroit Assist 5.0," it features many of the same assists you might find in a current Mercedes-Benz passenger vehicle: adaptive cruise control down to zero mph, lane-keeping assistance, automatic emergency braking, and even blind spot monitoring that keeps a virtual eye on the passenger-side length of the trailer as well.